formed by 3 points : 1-The location of the praying person, 2- Mecca Al-Mukarramah and 3-The True North Pole. Thus the vertices of this triangle will be arcs. whose plane cuts the Earth in two halves, thus passing into the Earth's Center. 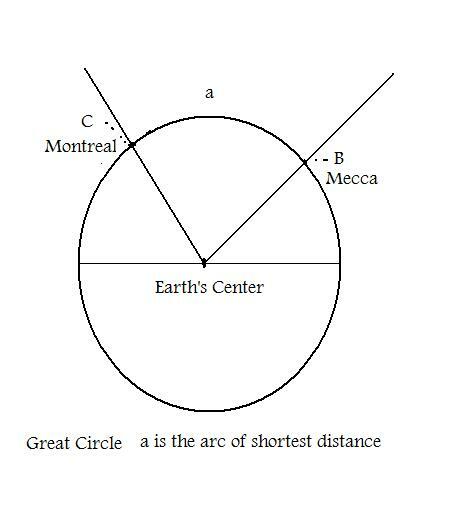 In the diagram above C represents the Qiblah angle required where Montreal is located, point C.
At point B is Mecca and at point A lies the North Pole. ==> a = 89.83 degrees ( at the center of the Earth). ==> C = 59 degrees. 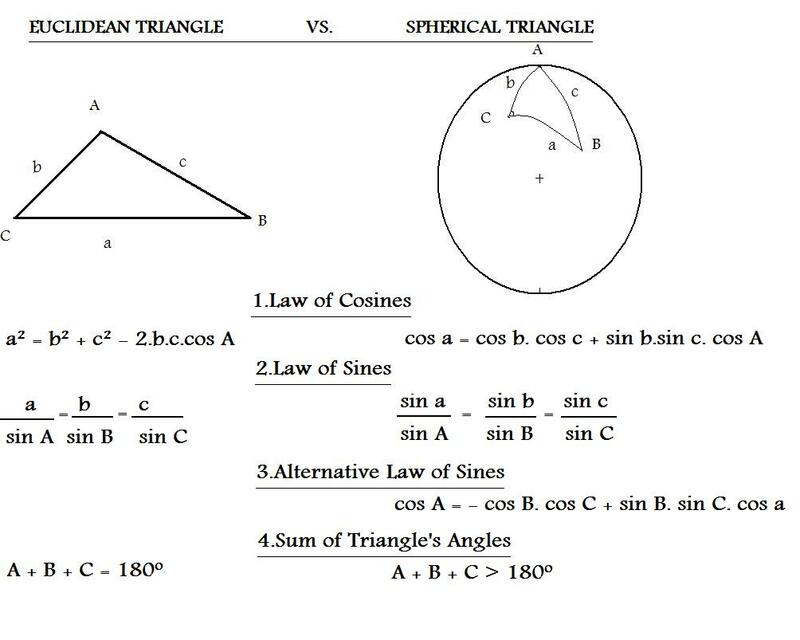 sin C = sin(180 -C), and you can verify that by using the Alternative Law of Sines. Distance = 89.83 * 60 = 5389.8 Nautical Miles. Since the Earth is an Ellipsoid(not perfectly round ), a Nautical mile will be variant. In US, one Nautical mile = 1.852 km , while in UK = 1.853 km. thus, shortest Distance = 5389.8 * 1.852 = 9981.91 Kms. apply, and it wouldn't have huge differences with the spherical triangle (Great Circle) method.